This is a bit of a departure for me, having not read a book of essays since I was in university, and even then never in their entirety. But Loud Hands is something of an exception: both a birthday present from my younger sibling and a subject that is very close to my heart, it is a collection of essays concerning self-advocacy in the autistic community. As such, it was with only a smidgen of guilt that I bumped it up my reading list. 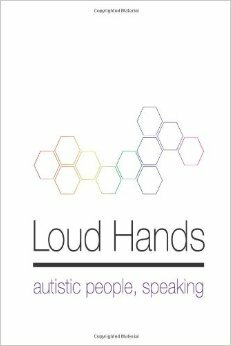 Loud Hands is a collection of autism self-advocacy essays, written exclusively by autistic writers. They span a range of topics within the spectrum of self-advocacy, from the origins of the larger autistic community, to the injustices suffered at the hands of our more ignorant neurotypical peers, to the language used in the disability rights movement. I kind of knew from the start that I would like Loud Hands, as it's pretty much preaching to the choir. Essays riffing on the idea that autistic people are valuable assets to society and should be treated as such. What about this would I not like? My main worry was that it wouldn't be different enough from the information that I had already found and read on the Internet. That was largely assuaged by the actual content; while I had found a fair amount of the subject matter already, the pieces included went into a lot more detail and even covered some new material. The fact that it covers a fairly wide range of topics makes it a pretty comprehensive guide to the topic. This doesn't make it a perfect resource though; I do have one main complaint that prevents me from recommending it wholeheartedly. My main issue with it is that it's very US-centric. While the broad issues are international, some of the essays do focus on specifics such as the American Disability Act, the Judge Rotenberg Center and assumes the widespread adoption of ABA therapy in schools. These issues, while relevant to disability rights, do make it feel a little distant for me as an autistic person who has no intention of ever living in the States. It would have been nice to have more of an international perspective to the essays. But otherwise it's a pretty solid effort and essential reading for someone thinking that they might be Autistic or neurotypical allies.